You spoke and we listened! Due to your requests, this is an active case study – meaning it is currently unfolding. 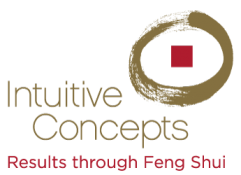 Visitors to our website expressed curiosity as to how a consult surfaces, events that take place, and ultimately how Feng Shui benefits the space and occupants. So thank you for your genuine interest! Please let us know if you like this level of detail. The Beginning: I was referred to Dr. Kanodia about the possibility of helping with his new medical clinic by someone in his inner circle. When he and I met, we decided to start with a smaller-scale project but one just as important — Feng Shui for his new condo. When Dr. Kanodia learned that authentic Feng Shui (utilizes formulas and algorithms rather than just overlaying the bagua) actually diagnoses the energy of the space before establishing a treatment plan, he realized how functional medicine and authentic Feng Shui align — in other words (just like he says in his video) researching the root cause rather than prescribing meds then going through a process of elimination. There is nothing cookie-cutter about Dr. Kanodia’s approach just as there’s nothing cookie-cutter about authentic Feng Shui (no two people are exactly alike, and no two buildings are exactly alike [or how people experience the space]). I highly recommend Dr. Kanodia. He is genuine, kind, and health and wellness is truly his mission. Read more about this active case study.